OK, so I’m a little more than obsessed with all things Chanel. I have such admiration for Coco Chanel as a person - visionary, creative, determined, crazy work ethic. I could go on and on reading and writing about her and the brand. I could also wear Chanel all the time!!! So much of what is mainstream modern day fashion stems from Chanel. She had highs and lows in her career: after a down, she reentered the fashion world at 71 years old and found huge success, especially due to people like Liz Taylor and Jackie wearing her new things. Coco, born Gabrielle, was born in a poorhouse in France in 1883. Her mother died when she was 6 and she was then raised in an orphanage in France. The orphanage had huge influence on her - she learned to sew there, and the patterns in the stones of the floors also inspired her, including creation the now-iconic double-C logo. And who could forget perfume? When asked what she wore to bed in an interview while promoting a film, Marilyn Monroe famously replied, “Chanel No. 5.” By many accounts, Chanel No. 5 is the top selling perfume in the world today. Jackie Kennedy wore one of Chanel’s iconic tweed suits on JFK’s assignation day – a day that has been replayed in recent films. 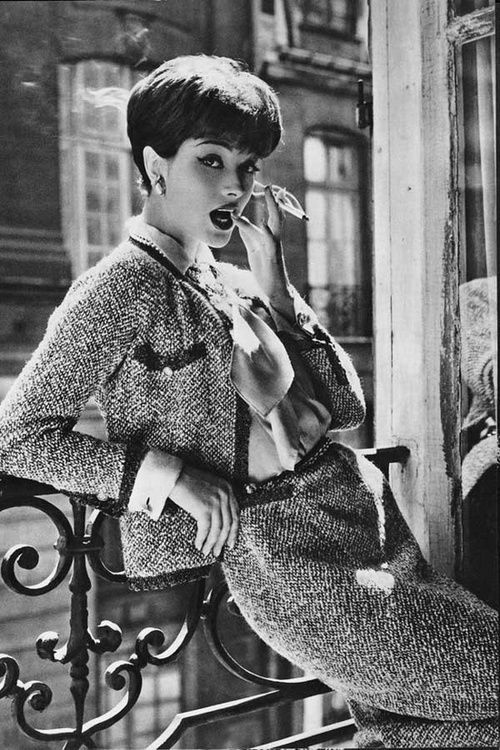 Among other iconic names to wear the Chanel suit, Marie-Hélène Arnaud was one of Coco’s favorite French models. A modern day Marie-Hélène would be someone like human rights lawyer Amal Clooney: totally contemporary yet sticks to her ideals of style. Coco “invented” the Little Black Dress. She loved black and white and the contrast of black and white. She also created new silhouettes for women, freeing them from tight fitting uncomfortable clothing - created somewhat masculine and/or sporty styles. She loved to mix high and low (resin jewelry with fine diamonds and pearls), black and white and many others. I love the Willow Smith eye wear campaign from last year and it's been so inspiring to see how Karl Lagerfeld continues to steer the brand. What fashion brands inspire you? Let me know in the comments!